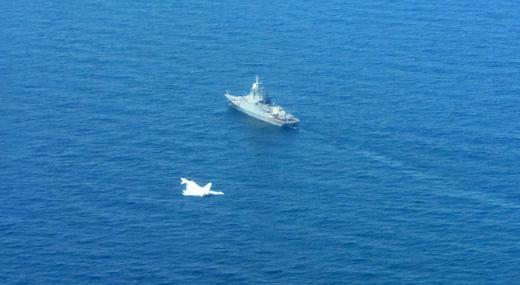 The unidentified aircraft was believed to be a Ka-27 helicopter that was operating over international waters but was not 'squawking' / transmitting an Air traffic control identification code nor talking to regional air traffic control; this type of helicopter being seen on the lead ship of the Corvette fleet by the Typhoons on arrival. 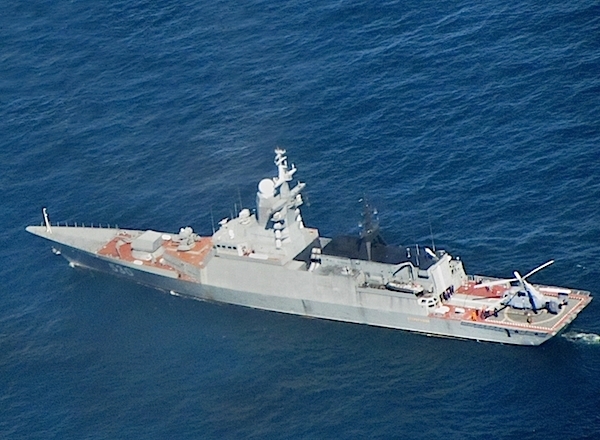 The 3 Squadron aircraft, normally based at RAF Coningsby in Lincolnshire, paid a friendly visit to the Russian Stereguschiy class corvette which is the newest addition to the Russian Federation Naval fleet which is designed primarily to conduct coastal patrol operations. Lead Pilot Squadron Leader Billy Cooper said; "Intercepting aircraft is something we as Typhoon pilots routinely train for in the UK and put into practice on Quick Reaction Alert in both the UK and Falkland Islands, the Typhoon’s agility makes it an ideal platform for intercepting all types of air assets from slow speed helicopters to supersonic fighters. Being re-tasked during a training mission is not unusual; we are always prepared to react and perform any tasking, it is what we are trained to do." The incident happened on Wednesday 14 May; 4 RAF Typhoons continue to support the Polish led NATO detachment in Lithuania.